Erg Admer. 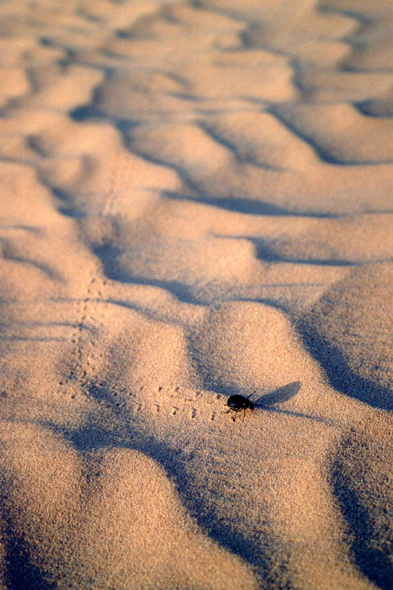 A beetle on the dunes of the erg Admer. Some emit a nauseous dark liquid when they are disturbed. This liquid colours then the fingers for a few days, as if one had touched tincture of iodine.